A little more than two years ago, teachers and staff at the Roberto Clemente campus of Acero charter lost access to a large parking lot across the street from the school, leaving about 40 employees with only 17 parking spots in a small parking lot behind the building. As is the case at many schools across the city, street parking can be difficult. The situation left many teachers frustrated, but the network made assurances that it would help solve this problem. After repeated promises from the network for a solution, however, the problem remained. Staff had to struggle to get to work long before the school day began just to find parking. 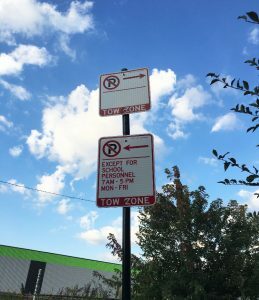 At the start of the new school year, with no solution to the parking crisis in sight, teachers were disciplined for parking alongside of the driveway into the lot—as Chicago Public Schools Central Office staff did on numerous visits to the school. 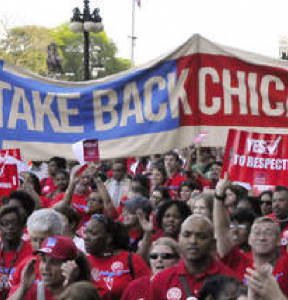 This is when the Chicago Teachers Union got involved. 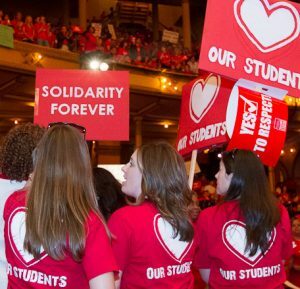 With the help of Clemente’s CTU field representative, Joey McDermott, teachers invited Ald. Chris Taliaferro (29th) to visit the school and see the parking lot, meet staff and the principal, and assess the situation. Teachers requested that Ald. Taliaferro look into the possibility of getting street parking assigned for school staff during school hours. Led by second grade teacher Stacey Masciola, a group of 12 teachers later visited the alderman at his office to follow up on their request. It took some time, and continued follow up from the Union, but eventually Ald. Taliaferro was able to secure a section of street parking for teachers. The Clemente principal made placards for staff to hang in their cards when using the new spaces provided by the city. Now there are about 10 extra spaces available for teachers and staff to use, greatly reducing the stress of the morning commute for Clemente teachers. It took a while, but the Clemente school community learned that lamenting a problem is not a solution. Complaining to the bosses or waiting for them to fix the problem didn’t work either. Organization, collaboration and persistence won the day in the end. Brad Staples is a teacher at Acero Clemente charter school. 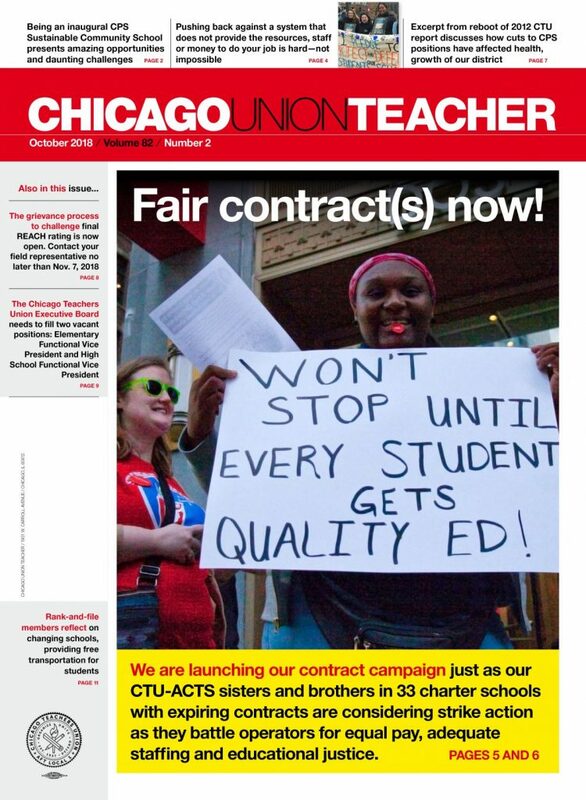 This article appears in the October 2018 issue of the Chicago Union Teacher.